Of Mequon. Passed away unexpectedly on March 13, 2011 at the age of 52 years. Loving husband of Lynn M. (Nee Ostrowski) for 18 1/2 years. He also leaves behind his loving son, Tyler S. Ross, his loving parents, LaVern and the late Vernetta Ross, his sisters, Bonnie (Howard) McKenzie, Beverly (Jim) Steeber, and Wendy (Rod) Cronkite-Ross, his parents-in-law Ambrose and Shirley Ostrowski, his sisters-in-law Susan Olsen and Nancy Davis, numerous nieces, nephews, other relatives and many friends. Terry was a #1 Rush fan. 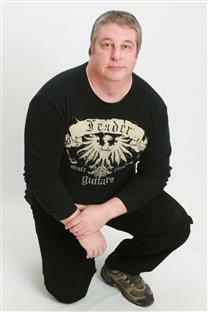 Terry was a seasoned musician with over 30 years of experience. He was a proud member of Jumping Parker, a classical rock band, where he played his Geddy Lee Signature Jazz Bass alongside Doug (guitar & vocals), Steve (keyboard & vocals) and Joe (percussion). Terry's ability to "bump the bass just right to rock the groove", contributed to the mood and feel of Jumping Parker's upbeat showcase. Terry was also an avid fisherman. He enjoyed going out on his boat "A Reel Rush" with his son Tyler. Terry was a former employee of Modern Equipment Co. in Port Washington for 22 years. He was also a former employee of Bucyrus Co. in South Milwaukee for 2 years and was currently employed at Ladish-Forge Co. in Cudahy. Visitation on Saturday, March 19 at the funeral home from 9:00 AM until time of Funeral Service at 11:30 AM. In lieu of flowers, memorials can be directed to Lynn for Tyler's Education.